Learn more about the honors, kudos, and awards for Lita Burke’s stories, videos, and blog. 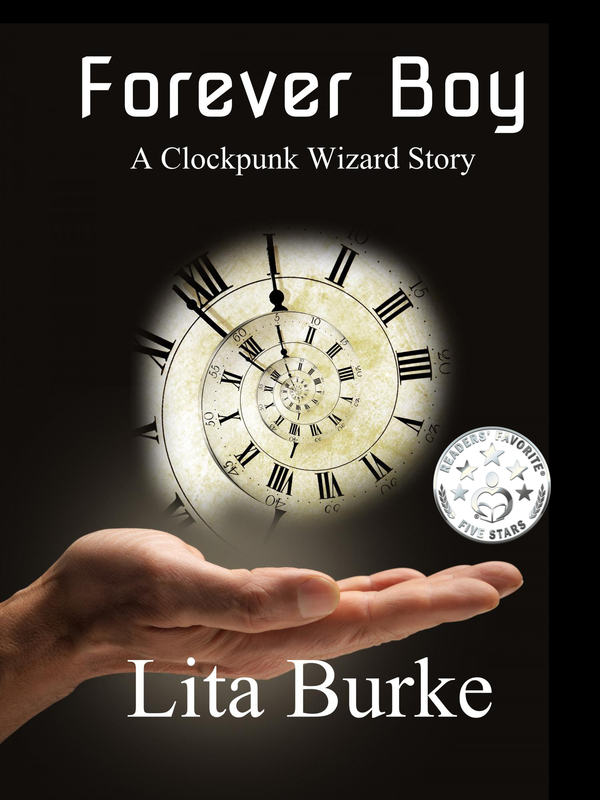 Book Viral (March 1, 2016) — BookViral awards Forever Boy by Lita Burke as a 2015 BookViral Book Award Shortlisted Author. Visit the 2015 BookViral Book Awards page to see the official listing. Find out more at Lita Burke’s blog post announcement (link coming soon). Readers’ Favorite (September 1, 2015) — The 2015 Readers’ Favorite International Book Award Contest names Forever Boy as the finalist winner in its Fiction-Short Story category. Visit the 2015 Readers’ Favorite International Book Award Contest Winners page to see the official listing. Read the details of the review at Readers’ Favorite 5 Star Review for Forever Boy. Find out more at Lita Burke’s blog post announcement. 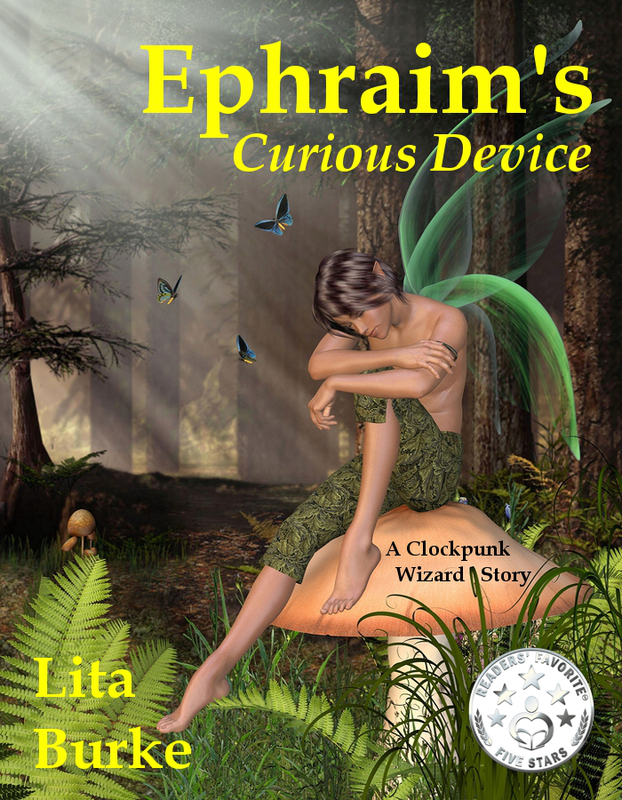 Readers’ Favorite (April 25, 2015) — Readers’ Favorite awards 5 Stars to Ephraim’s Curious Device by Lita Burke. Reviewed by Jack Magnus. Read the details of the review at Readers’ Favorite 5 Star Review for Ephraim’s Curious Device. Find out more at Lita Burke’s blog post announcement. 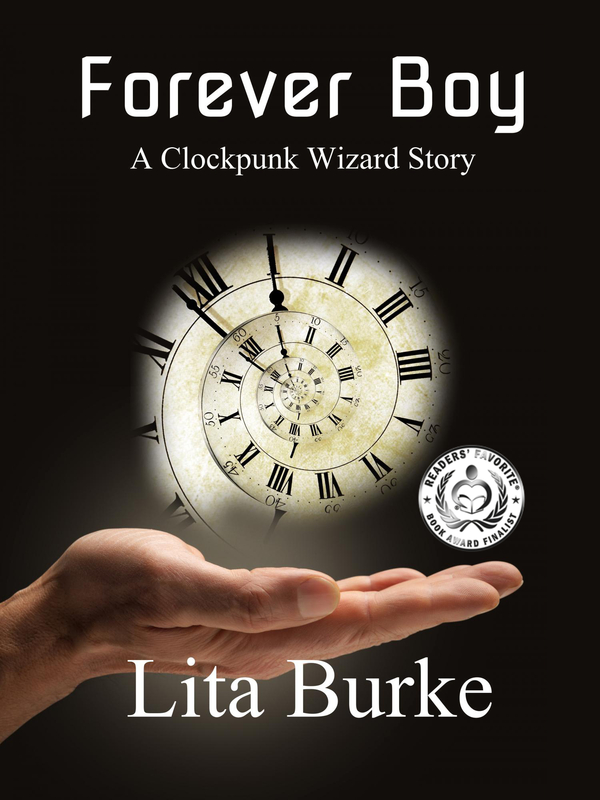 Book Viral (March 2, 2015) — BookViral praises Forever Boy by Lita Burke, describes it as “A world beyond the familiar with curiosities and marvels that ensnare with intrigue from the very first page… An ode to the best in genre, this is one series you won’t want to miss.” Read the details of the review at Author Lita Burke in the Spotlight – Forever Boy – A Clockpunk Wizard Story. Find out more at Lita Burke’s blog post announcement. Readers’ Favorite (January 29, 2015) — Readers’ Favorite awards 5 Stars to Forever Boy by Lita Burke. Reviewed by Jack Magnus. Read the details of the review at Readers’ Favorite 5 Star Review for Forever Boy. Find out more at Lita Burke’s blog post announcement. Readers’ Favorite (September 1, 2014) — The 2014 Readers’ Favorite International Book Award Contest names Wrath, Prequel to Tredan’s Bane as a 2014 Honorable Mention Book Award Winner in its Fiction-Short Story category. 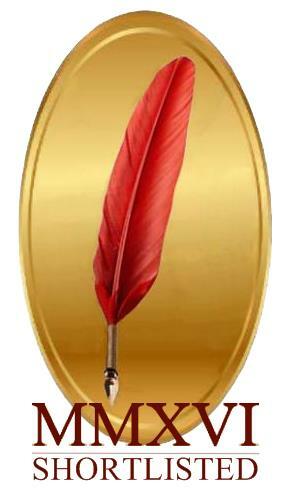 Visit the 2014 Readers’ Favorite International Book Award Contest Winners page to see the official listing. Read the details of the review at Readers’ Favorite 5 Star Review for Wrath. Find out more at Lita Burke’s blog post announcement. See Lita Burke’s news release. 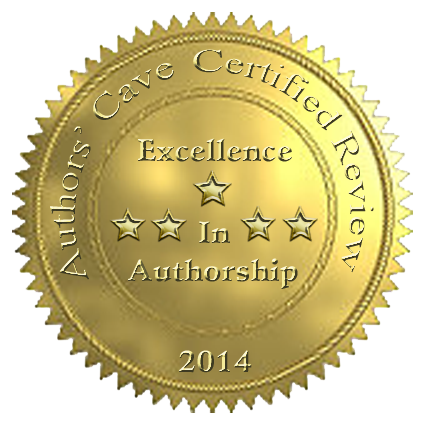 Authors’ Cave (August 22, 2014) — Authors’ Cave awards 5 Stars to Old Bony Blue Eyes by Lita Burke. Reviewed by Chameleon. Read the details of the review at Authors’ Cave 5 Star Review for Old Bony Blue Eyes. Find out more at Lita Burke’s blog post announcement. Readers’ Favorite (July 17, 2014) — The 2014 Readers’ Favorite International Book Award Contest names Wrath, Prequel to Tredan’s Bane as a finalist in its Fiction-Short Story category. Find out more at Lita Burke’s blog post announcement. 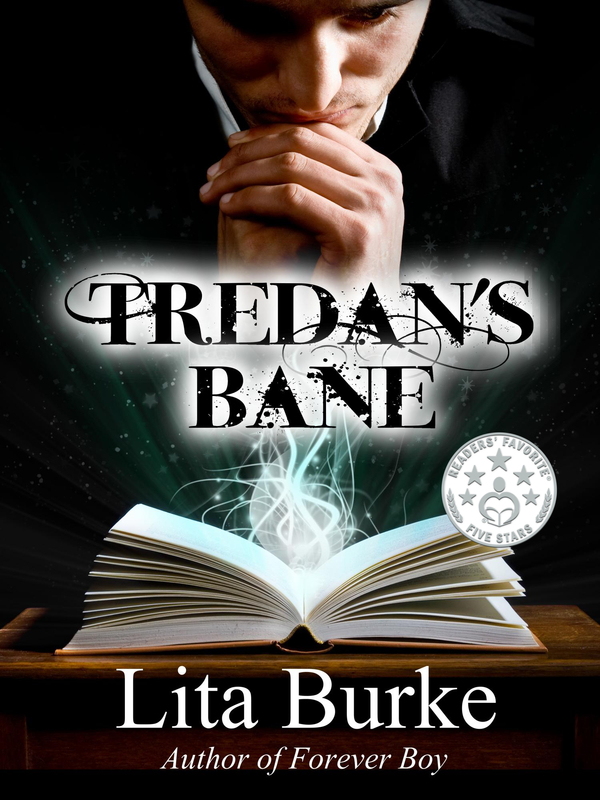 Readers’ Favorite (January 5, 2014) — Readers’ Favorite awards 5 Stars to Tredan’s Bane by Lita Burke. Reviewed by Mamta Madhavan. Read the details of the review at Readers’ Favorite 5 Star Review for Tredan’s Bane. Find out more at Lita Burke’s blog post announcement. 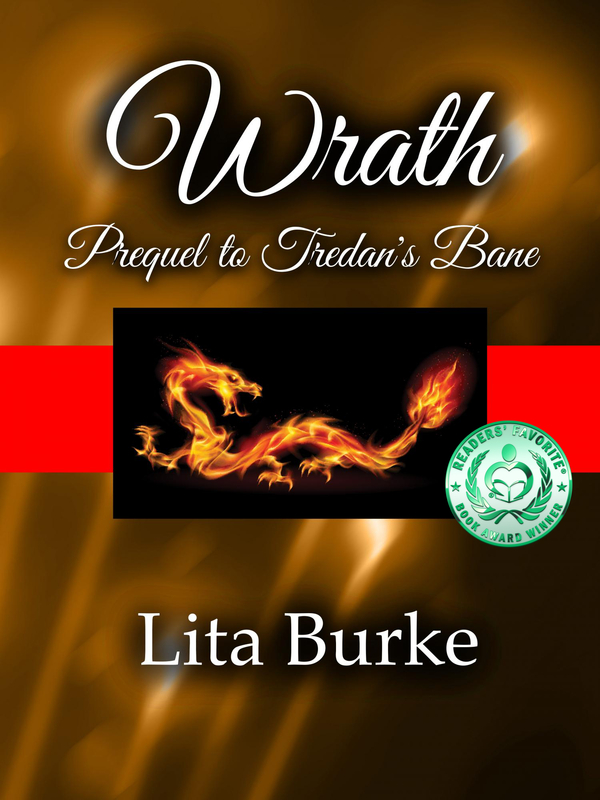 Readers’ Favorite (October 26, 2013) — Readers’ Favorite awards 5 Stars to Wrath, Prequel to Tredan’s Bane by Lita Burke. Reviewed by Jack Magnus. Read the details of the review at Readers’ Favorite 5 Star Review for Wrath. Find out more at Lita Burke’s blog post announcement.